Hello. 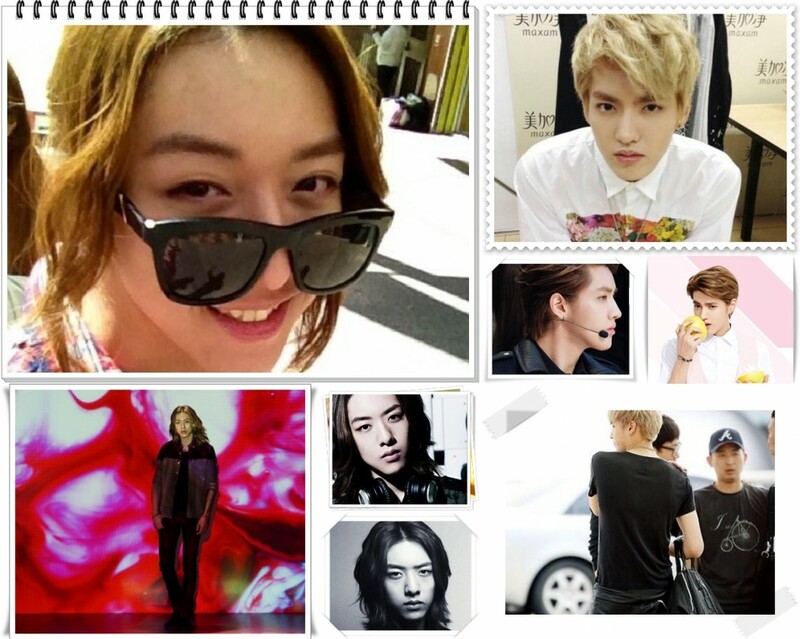 This is Lee Jung Shin from CNBLUE. When I was a student, I dreamed of becoming a photographer along with becoming a singer. Since New Year 2014 is here, I am feeling joy as I started taking pictures again as my hobby. I am curious about what kind of dreams and plans everyone has in 2014. For few years after making a debut as CNBLUE in 2010, I was getting used to getting pictures taken rather than taking pictures, but I suddenly remembered the dream when I was a kid and decided ‘Let’s try taking pictures~’. With curiosity, I read this and that and also searched and I came to remember the time one by one of studying photography by myself and also the good memories of my childhood and I am getting happy. A month ago in January 2014, I went to North, Central and Latin America with CNBLUE members as part of the world tour. In America, other than the performance schedules, shooting for the album cover to make a comeback in Korea that will be released soon (will be released on 24th, next week!) was also expected to take place throughout the regions of New York so it was a bit tight schedule. It was a tight schedule but I decided to contain in my camera this special travel story. I diligently carried the camera and took pictures of things I want to take pictures of and had a fun time. I would like to share with everyone what I saw, felt and what I want to talk about. So I have prepared. On the day of performing in New York, I usually do not go to bed early and do not get up early but maybe because it is due to jet lag, I was able to wake up in the early morning. I took the camera and just walked out the door. On this day, it really snowed a lot but the streets of New York was crowded with lots of people. I got a feeling that everyone was busy living their lives in different ways. There is a person who waits for the traffic light, a person who is looking for some place in a complicated street and there are people who are moving as if they are heading to the place they always go to… I felt that there are really various people. I have caught those very moments in the camera. To me, the first impression of a city called New York is either cold or not familiar yet… It gave me that kind of feeling. However, a cold dawn passed and the sun rises and I got more excited as the performance in New York is coming up. I also caught on the camera New York’s Brooklyn Bridge, the place where we shot the album cover of our new album ‘Can’t stop’. I always carried the camera just in case while taking pictures of the album cover and I am glad I did that since a good picture came out. It was a very freezing weather that is below zero but when I saw Brooklyn Bridge, it was a day after meeting with fans in New York, who greeted us, so I remember at least my mind being very warm. Fortunately to me, there are always excellent models. I come to think about old times a lot when I take pictures of the members, and it also feels like taking pictures of people is becoming much more fun. Peru feels a lot different from New York. In Peru, the performance hall was outdoors. So there were lots of things to take pictures of. I have taken a picture of Yong Hwa, an excellent model who makes best poses when I am holding the camera. It is a picture that I took at the back of the waiting room after the rehearsal for the performance in Peru is over, and it is always fun taking pictures of the leader of CNBLUE who is also the oldest member. He automatically makes poses and he sometimes takes a picture of me also. There are so many fans lined up behind Yong Hwa and can everyone see them? No doubt… This is Yong Hwa, who can easily make poses that can sometimes look awkward. The fact that people from this far away know CNBLUE and passionately supports our concert was rather cool and an honor. I felt that lots of people love CNBLUE while doing the world tour so I was happy and at the same time, the sense of responsibility got bigger. This is guitarist from CNBLUE, Jong Hyun. It is him going around the performance hall before the rehearsal. This person… He is relatively picky when taking pictures. It is hard to find him standing still.. He is a picky model but Jong Hyun, he really is white.. Yes.. He looks like mayonnaise. This is Min Hyuk, the drummer from CNBLUE, in the middle of the rehearsal. The truth is, out of all the pictures in my camera, I have least of Min Hyuk… I don’t know the reason why. However, when I looked with the perspective of someone who takes pictures, Min Hyuk was really chic… Why would Min Hyuk through the lens become chic..? The last but not least of this world tour, Chile! The day before the concert, we went to different places for SBS comeback show that will be aired on March 2nd (make it as an excuse). We met a kid in a restaurant. I have taken a picture of a kid, who was really naïve, in the camera. I thought that this kid will match well with the song ‘Children’s Song’, the song that is listed in the album Can’t Stop. Also, throughout the regions in Chile, we could see either graffiti or fancy decorations easily, and it is said that it also contains the meaning of trying to fight off evil spirits. The weather of Chile back then was Korea’s summer and I had a special feeling as I was able to feel the summer weather in winter. I guess this is the reason for travelling to countries that has warm weather in winter, right? Thank you for watching until the end and please show lots of support toward CNBLUE Can’t Stop that will be released on February 24th.